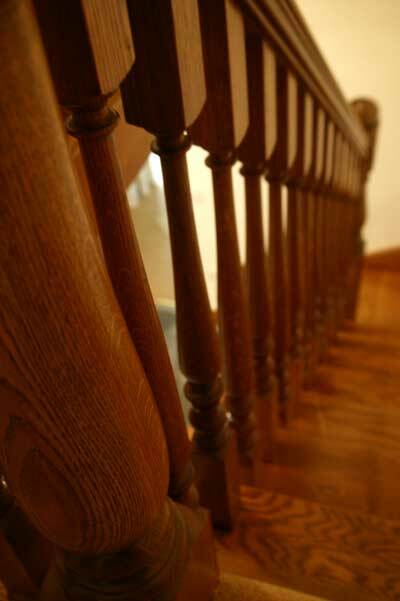 The other parts are in Pine. 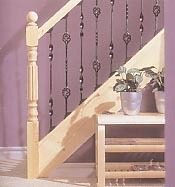 Metal Balusters with Pine Fluted Newel posts. 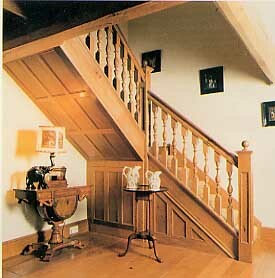 A 'T' shaped cut string staircase in Oak with decorative brackets, left & right hand volutes and goose necks into the corner posts. 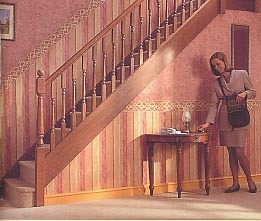 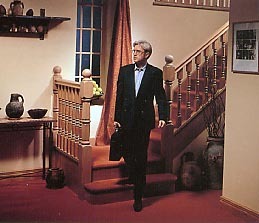 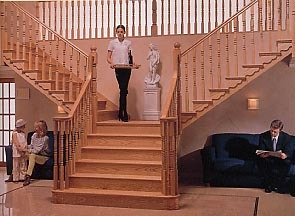 A typical closed string staircase with a bullnose entry step, turned newel posts and spindles. 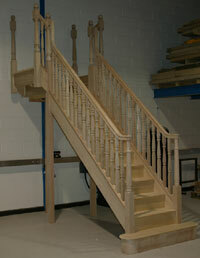 Chunky Looking Staircase with Closed Strings, Paneled newel Posts and bespoke spindles. 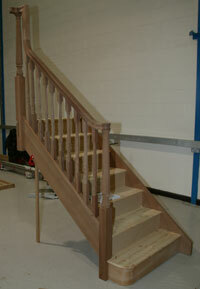 You can have your Continuous handrails pre-jointed in the factory. 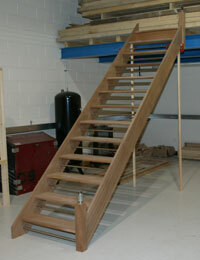 Here is a Cut String Winder Staircase in Engineered Pine with a Curtail entry step and Vollute. 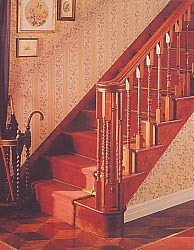 A T- Shaped Closed String staircase with Parana Pine strings and Hemlock stairparts, with opening cap detail on the handrails & Goose necks at the top. 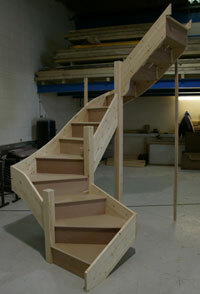 Looking for a Bespoke staircase this is our Prescott Staircase in Oak. 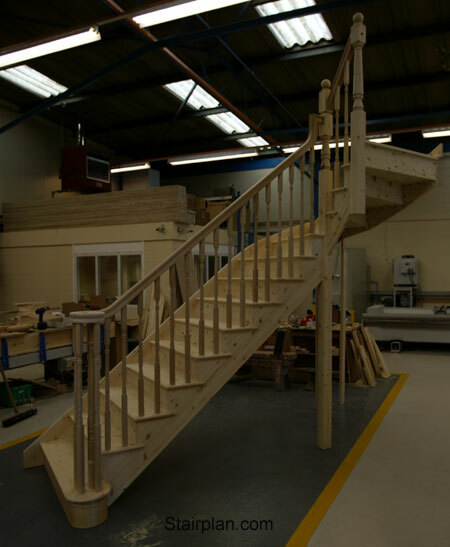 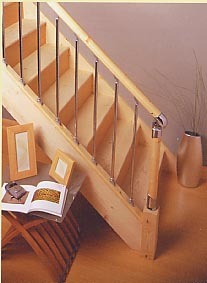 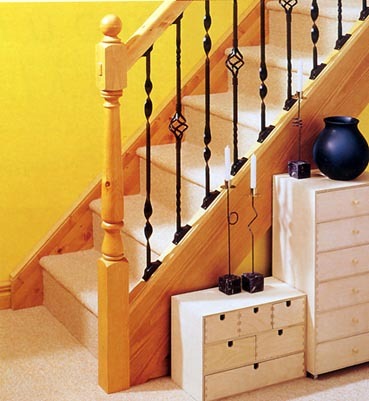 Take a look at the Cheshire Range of Stairparts we offer.